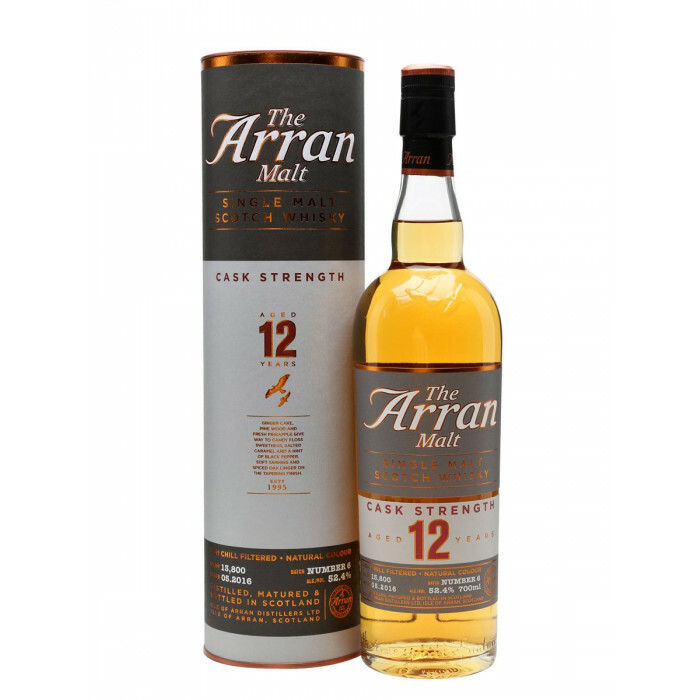 This is a twelve year old Arran whisky that has been bottled at a natural cask-strength of 54.1%. The Isle of Arran distillery opened in 1995 and has gone on to produce some, frankly, phenomenal whiskies. Nose: A fruits character of peaches and nectarines rise of the surce of the whisky with a tinge of classic Arran apricot to follow. Palate: The palate is spicy with the fresh fruit from the nose becoming denser and tangier. Finish: The finish is long and spicy with nutmeg and orange zest on the tail-end.